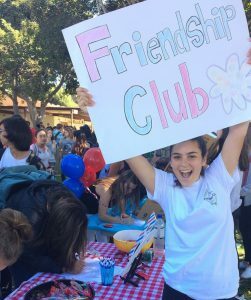 The Friendship Foundation has school-sanctioned clubs located in various high schools, middle schools, and elementary schools throughout the South Bay. General and special education students join together to eat lunch, socialize, play games, and attend school functions as a group. 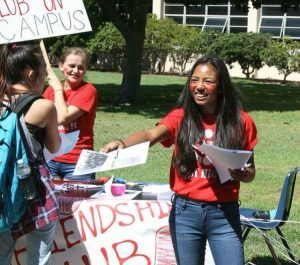 "I feel that Friendship Clubs are essential on every campus because they make it possible for kids who don't normally interact with each other to develop friendships. The Friendship Club on our campus has given students the opportunity to expand their experiences and has given parents peace of mind knowing their child is accepted by their peers. As a teacher, I want to share that the Friendship School Club has been the best thing that has happened on our campus for ALL students. The smiles, the anticipation and the energy on club days is exhilarating. Students leave with a smile on their faces and I leave with a smile in my heart."